Our 2nd Annual Homeless Connect Day is approaching! St. Francis Center will host its 2nd-Annual Homeless Connect Day on Hope Street in partnership with Mayor Eric Garcetti’s Office of Public Engagement and the SPA 6 Coalition on Thursday, October 26, 2017 from 8:00 a.m.-12 p.m as part of the wrap-up to the the Mayor’s office’s Days of Compassion Civic University. 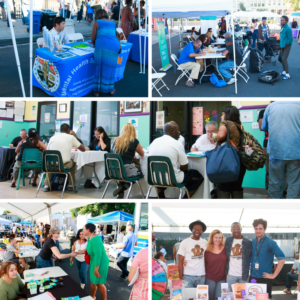 This free event will bring together over 30 Los Angeles agencies including the Los Angeles Homeless Services Authority, Los Angeles Regional Food Bank, St. John’s Well Child & Family Center, UCLA Stein Mobile Eye Clinic, and new this year PATH and the Herman Ostrow School of Dentistry of USC, in addition to many more to provide homeless individuals and families with access to resources including housing, shelter, legal services, medical, case management, and even pet services. The majority of city council members including the mayor will be in attendance at the event. St. Francis Center also will be providing a free brunch on site from 8:00-10 a.m. which will include coffee, pancakes, eggs, and bacon. “This is the fifth year St. Francis Center has served warm nutritious meals and lunches to over 100,000 guests annually, which is almost double the amount of guests we were serving just five years ago. 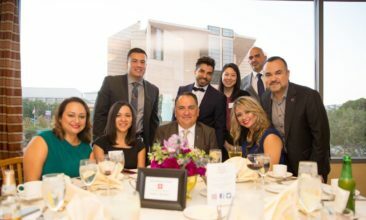 With over 30 partner agencies participating in our first-annual Homeless Connect Day, our goal is to provide a one-stop shop for our homeless guests to be able to get access to a variety of community resources all in one spot,” said Jose Ramirez, St. Francis Center’s executive director. Check out this video from our 1st-Annual Homeless Connect Day! We are still in need of 7-10 volunteers to help serve breakfast from 7:30-11:00am! Serving Hope, contact Corinne, volunteer@sfcla.org or 213.747.5347 x 111. A Spooky Halloweekend at SFC!